Looking for a unique gift idea for a beer lover? Our beer hampers are the perfect gift for all occasions and all include free UK delivery. A beer hamper is a great present idea for a birthday or as your Father's day gift. With British beers as well as America, Belgium, Italy & Australia international beers in our online beer hampers selection. With bitter, real ales, lager & craft beer as well as cider gifts with delicious foods including cheese, biscuits, chocolate, nuts & chutneys. Finding the perfect luxury beer hamper online is easy with hamper.com. Our UK beer gift hampers selection are ideal as a present for any special occasion and you can send a case of beer with or without food delivered direct as a gift or delivered to your home to be presented to him or her personally. Each of our Beer gift sets offer excellent value for money and are presented in a case, crate, box, wicker basket and many more packaging options, making a delicious, refreshing beer and food hamper an ideal gift for family and friends whatever the occasion. Order your beer gifts online today and with Free UK delivery on all gift baskets, we'll have your beer hamper delivered to your recipient fast. Not seen a beer hamper you like? Why not create your own personalised beer gift with our build your own beer hamper feature and add your as many bottles of Ale, Craft Beer, British Beer, Lager or Stout you choose. Surprise loved ones with beer hampers full of festive food and drinks. A beer hamper at Christmas makes the perfect gift to enjoy on Christmas day, especially when served with savoury snacks to enjoy by the fire. Our Xmas beer hampers come with or without food, so make great beer gift packs and are available as Christmas Real Ale Hampers & Xmas Craft Beer Gifts. So send a festive food & beer feast and celebrate with a Christmas beer hamper as your Xmas present this year. For more ideas on what to buy him or her at Christmas, see our full range of Christmas Hampers. 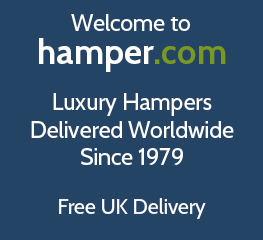 Find the perfect 2019 Father's Day Gift from hamper.com with our range of gourmet food and alcoholic drinks that make the perfect gift idea for dad this Father's day. Surprise him with either a hop based real ale or a pilsner style lager beer from leading British craft beer breweries and international beer brands. Then combine this with luxurious cheese from regional cheese producers across the United Kingdom, that make famous styles including Stilton, Cheddar and Wensleydale. We hope you find a beer gift that suits, our UK delivered range of beers are some excellent examples of Great British Beers, with a good selection of lagers, bitters, ale and craft beers available today in the United Kingdom including big beer brands such as Peroni, Stella Artois, Cobra, Green King, Hunters Brewery and Budweiser as well as Thatchers for Cider. If you have any suggestions or your preference is not available, please let us know, if are always on the look out for great Beers, Ales & Bitters from the UK & Worldwide. Find the perfect beer hamper idea from our range of craft, real ale, British beer and International lagers to buy as a beer gift for family, friends and clients. Combine your beer choice with cheese, meat, chocolate, wine and other treats and snacks. With or without food, find inspiration and ideas from our collection of beer gift baskets from around the World. Surprise him or her with a Birthday Gift, packed full of their favourite drink - refreshing cold lager on a summer's day or a warming real ale in front of the fire on a cold winters evening. A birthday beer hamper is the perfect solution for those that love beer and makes the ideal present to celebrate another milestone.